The Round Lake Library offers digital access to audiobooks and music for our patrons. Overdue items or charges in excess of $5 on your library account will prevent you from accessing digital material. Overdrive allows SALS library patrons to borrow e-audiobooks (and ebooks) for use on their computers, tablets, smartphones, and other devices. Available titles can be borrowed for a 14 day period, after which they automatically expire — so there are never any late fees! You can reserve checked-out titles, and be notified by email when they become available. Login with the barcode number from your SALS library card (no spaces). Find app information, device-specific instructions and more on Overdrive’s Help page. See more about who can use the service and limitations on use on the SALS Overdrive FAQ page. 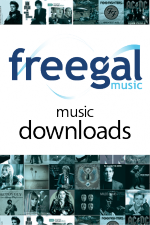 Freegal Music is a free music service from your library that allows each user to steam ad-free music for 3 hours a day, and download 3 songs per week. All you need is your library card number to access to over 15 million songs, videos and audiobooks thru the Freegal website or Freegal app. Any material you download is yours to keep, and has no digital rights management (DRM) restrictions. Access to Freegal is limited to patrons registered at the Round Lake Library and Malta Branch.